MPG-o-Matic Dodge Ram 1500 4X4 Review Summary: The Flex Fuel capable 2009 Dodge Ram SLT 4X4 takes a different path with a multi-link coil suspension that delivers a smooth ride and solid handling, whether the box is empty or full. A comfortable cabin and an array of technology and storage options put the shine on the Ram brand. The Dodge Ram 1500 charts its own course in a crowded field, as it competes against the Ford F-150, Chevy Silverado, GMC Sierra, Toyota Tundra and Nissan Titan in the full-size pickup truck market. Under the hood, the mid-range Dodge Ram 1500 SLT is equipped with a 4.7-liter V8 engine as standard equipment. The top of the line Ram 1500 Sport is fitted with a 5.7-liter Hemi V8, while the basic Ram 1500 ST comes with a 3.7-liter V6 (4×2 only). The Hemi is optional in the SLT. The SLT’s 4.7-liter V8 puts out 310 horsepower (HP) and 330 foot pounds of torque, while the Sport’s 5.7-liter Hemi puts out 390 HP and 407 foot pounds of torque. (The ST delivers 210 HP /235 lb./ft.) All Ram 1500s are equipped with a five-speed automatic transmission. A manual transmission is not offered. When fitted with the 4.7-liter V8, the official mileage estimates for the 2009 Dodge Ram 1500 4X4 are 13 city / 18 highway miles per gallon (MPG). We covered more than five hundred of miles in our Inferno Red Crystal Pearl Coat review unit. By driving conscientiously with a light foot, we were able to do a touch better than the official estimates on the open road, with an average of 20.1 MPG on the Interstate highway and 15.4 MPG combined with a light to no load. Overall test period temperatures ranged from the fifties through the seventies, with highway testing in the sixty degree range. The standard 4.7-liter engine provides plenty of grunt on and off road. While the Ram beat the numbers on the highway, there’s no forgetting that this is a beefy full-size pickup. Getting the Ram off the line takes its toll on fuel-efficiency. The 4.7-liter V8 is a Flex Fuel engine (FFV) that can use E85 ethanol, gasoline or a combination of both. We performed our tests with conventional unleaded regular gasoline. Fuel economy results while running E85 are likely to be significantly lower than with conventional gasoline. The Ram 1500 is fitted with a 26 gallon fuel tank. A 32 gallon tank is optional. Ride comfort sets the Ram 1500 apart from the competition. Rather than using leaf springs, the Ram benefits from a multi-link coil suspension that delivers a smooth ride and solid handling, whether the box is empty or full. Our Regular Cab SLT 4×4 test unit was equipped with the 6.4’ box. The Regular Cab can be fitted with an 8 foot box, as well. The Quad Cab box measures 6.4’, while the Crew Cab’s box measures 5.7’. The Regular Cab SLT 4×4’s standard payload capacity is 1410 pounds. The standard towing capacity is 6350-6400 pounds, with a maximum towing capacity of 8850 pounds. A 3.55 axle ratio is standard issue, while a 3.92 axle ratio is optional. Four wheel disc brakes are standard. The 24T Preferred Option package includes TRX fender flares and badging, along with the 3.92 axle, and skid plates for the front suspension and transfer case, among other goodies. The Ram’s interior is handsomely designed, quite comfortable, and highly functional. A center mounted display screen providing trip meters, transmission and coolant temperatures, engine hours, and average miles per gallon is standard in the SLT, Sport, and TRX. An instant fuel economy gauge is not offered. 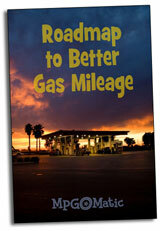 We recommend adding an aftermarket real-time MPG gauge to help achieve higher fuel efficiency. There are two 12-volt power outlets at the base of the dash. An 115-volt power outlet is optional. The standard six-speaker audio system includes an audio input jack. One year of SIRIUS satellite radio is standard. Uconnect Bluetooth is optional. A 506-watt seven-speaker Alpine Premium sound system is available. Audio options in the 2010 Ram are significantly upgraded, with updated Uconnect systems that include 30GB media storage, a 6.5” touch screen display, and iPod control. There’s an abundance of in-cabin storage, with dual gloveboxes, a center seatback console, and behind the seat cubbies. All-in-all, the Ram 1500 SLT Regular Cab 4×4 is one easy riding pickup, whether on or off the beaten path. No question about it, Dodge has upped the ante when it comes to comfort and driveability. We still hold out hope they’ll see fit to add a highly fuel-efficient clean diesel option for the 1500 in future models.